I'm back with another quick installment in my Wedding Series! 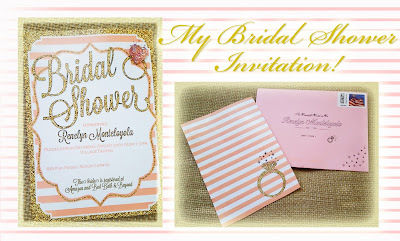 I just received my Bridal Shower invitation in the mail and I wanted to share it with you all. 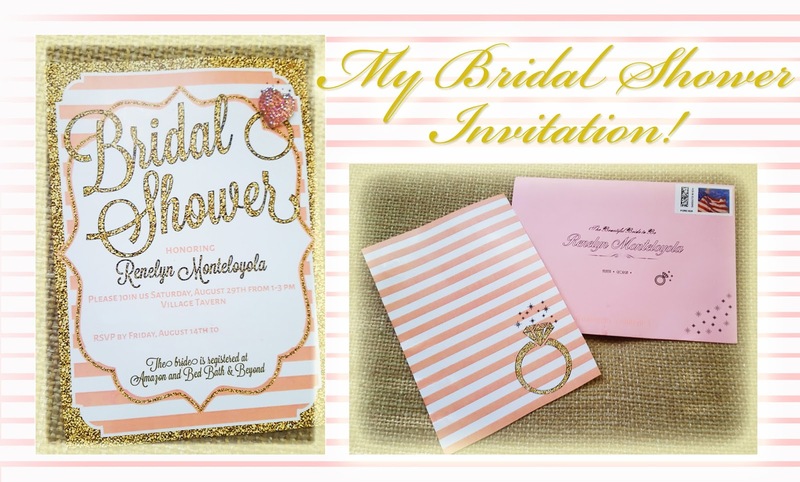 I really have an all star bridal party and have the utmost confidence that they will throw an amazing Bridal Shower. The super cute invitation already sets the tone. Did you see the actual pink rhinestone embellishment on the top right corner, super cute! I can already picture pink and gold and bling for my special event, but then again it's a surprise so who knows what to expect. I will definitely have pictures of the event and I can't wait to share with you my bridal shower dress. It was my very first purchase as a bride-to-be. If any of my bridal party is reading this, you go girls! Stay tuned for more! To stay up to date on my wedding planning, follow my wedding pinterest board!